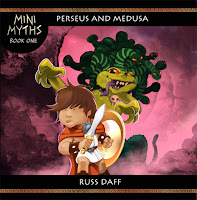 The Mini Myths Blog: Mini Myths Book One Out Now! Mini Myths Book One Out Now! Mini Myths Book One is available to buy on Amazon!